HomeBlogThe BibleWhat Kind of Person Are You? Tychicus is a character in the Bible who most people don’t know. His name occurs only five times, once in Acts and four times in Paul’s letters. The letter to the Colossian church is one example. Each time Tychicus’s name is mentioned, it’s in passing, and we know little about him, except that Paul often uses him to carry messages to the various churches. A Dear Brother: First Paul affirms Tychicus as a dear brother. Think of him as a much loved, valued friend. We all want to have friends like that. But the place for us to start is to be a friend like that. May we be a dear, loved, and valued friend to others. 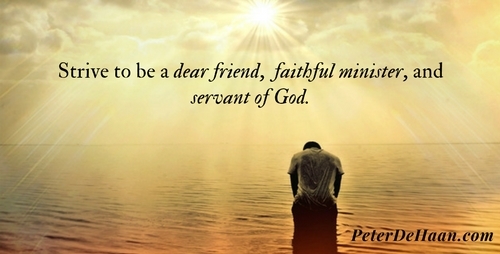 A Faithful Minister: In addition to Tychicus’s loyalty, Paul confirms he’s also a faithful minister. First, focus on the word faithful. Tychicus is trustworthy, dependable, and consistent in his work. Paul knows he can count on him. A Fellow Servant of God: The final trait Paul mentions is Tychicus is a servant of God, just like Paul. Though we may equate the word servant to slave, that could be an overreach. A true servant has a desire to serve others. This means serving God, with the practical application of serving Paul and the church. Being a servant requires humility. Not many people possess this characteristic, but Paul values Tychicus as God’s servant. May we likewise aspire to serve God as we help others in his name. These three traits reveal so much about Tychicus. Though he’s not a celebrated leader or a prolific writer, he’s a godly person, a worthy example for us to follow. May we be more like Tychicus, someone who’s a dear friend, faithful minister, and servant of God.